When it comes to choosing between the top Washlet or combined bidet WC’s brands, it’s always good to know what you’re getting and where the differences lie. Choosing the best for a luxury development or private client build project is critical, so staying informed is key. 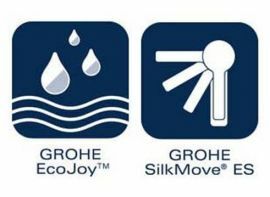 Our three big brands for combined bidet WC’s are TOTO, Grohe and Villeroy & Boch, all of whom supply the ultimate in high quality lifestyle choices. 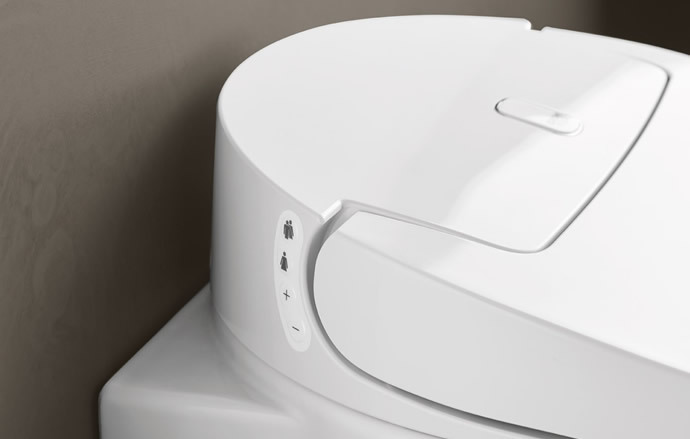 TOTO’s Washlet is a well balanced product, it features it’s own warm water cleansing system, air purification and fully loaded automatic functions including a heated seat, while a premist function and self cleaning wand nozzle ensures maximum possible hygiene. Their world leading technology is second to none and they’re renowned brand leaders, selling over 40 million units . 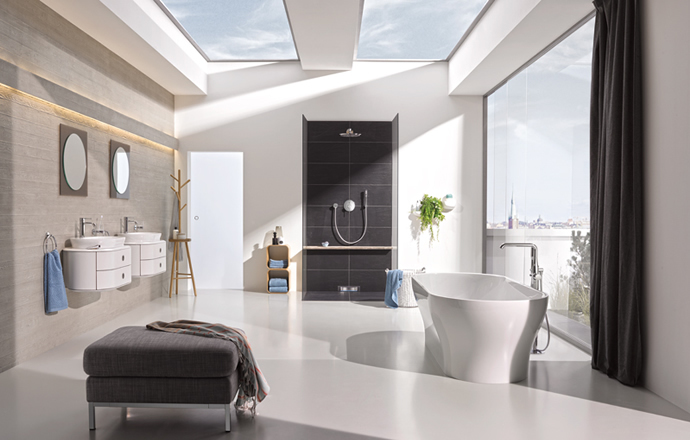 Grohe’s new Sensia Arena is an impressive addition to the high end market, with its unique Skinclean and Hygeneclean functions. The design is elegant, while subtle lighting illuminates the product at nighttime for ease of use without having to turn on any harsh main lights. It also boasts a powerful triple vortex flush and a large bowl, which cleans the entire toilet whilst using the minimal amount of water. 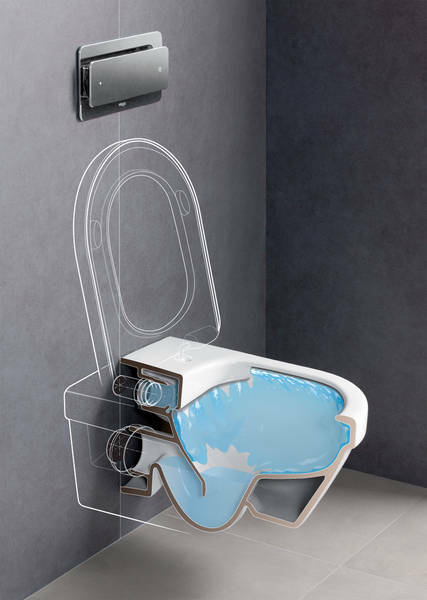 Villeroy & Boch offer the new sustainable ViClean-L shower toilet with exceptional styling and aesthetics, an automatic soft close seat, which opens on approach and heats up straight away. Special anti-bacterial surface coating and intelligent nozzle functions ensure a top level of all round hygiene, using ionised water. Concepts in house design team will help specify the right solution for your project, we are happy to talk through your initial requirements as part of our detailed bathroom design process . All brands are on display at our award winning showroom . 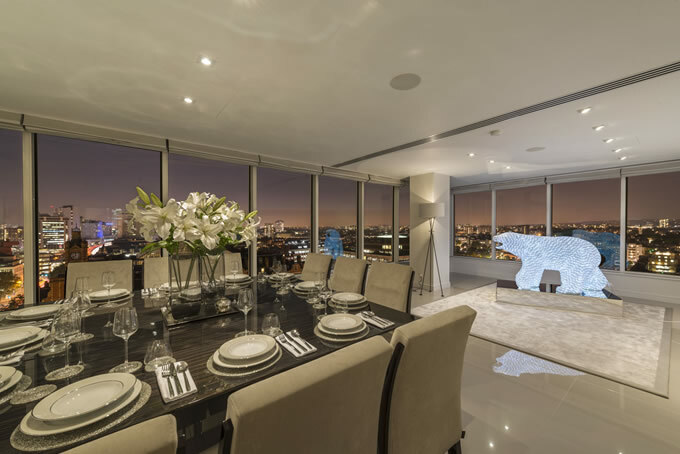 When considering the design of high-end, luxury developments, responsibility to the environment doesn’t mean sacrificing on functionality and style. Careful design can mean you won’t have to compromise the luxurious standards you expect for your new development or refurbished bathroom. Sustainability is an integral part of Villeroy and Boch. A central environment management unit focuses on the development of products which efficiently use energy and raw materials. Their approach aims to reduce emissions and extend the life of their products. 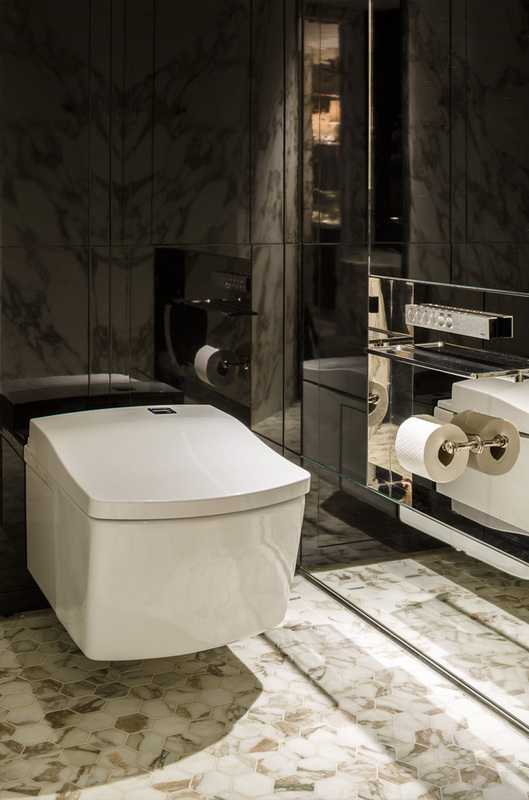 To maintain that level of beautiful aesthetics with high-end functionality, Villeroy and Boch have created technologies that perfectly tie together requirements and luxury. 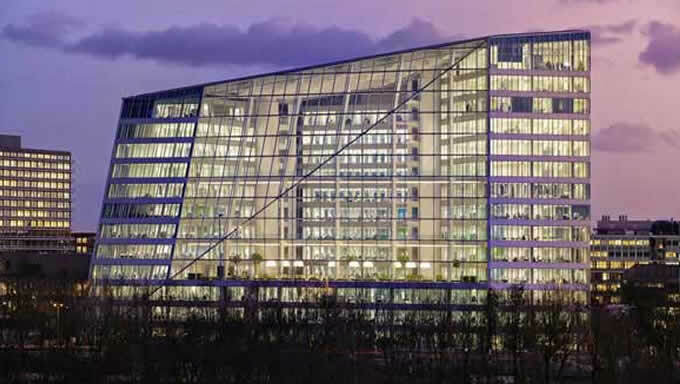 Their award-winning water saving system, for example, reduces water usage and cost, without causing any negative effect on the high performance of the product. The reduced water usage also means less material used, as the piping can therefore be smaller, saving space, material and cost. Keeping a bathroom spotless and hygienic can also be done without compromising on sustainability, by using an exceptional solution from Villeroy and Boch. Using an antibacterial glaze on their rimless WC means the surface is permanently dirt-repellent, with the flush requiring 90% less water, cleaning agent and cleaning time. Sustainability is integrated seamlessly into the flawless design of the product. Villeroy and Boch are the perfect example of sustainability being both luxurious and functional. 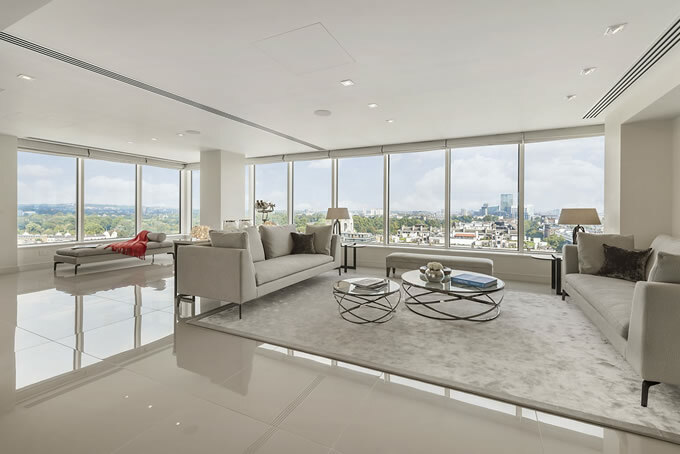 Quality and style is essential in luxurious new builds, high-end developments and top quality renovations. Stepping into an Aurajet shower is like stepping into a unique encounter with nature in a totally different dimension. Let your imagination run riot, whether to cool mountain streams or plunging through crystal clear waves, diamond droplets of spray splashing in your face….your shower can take you to another world of sensual luxury! The Aurajet shower takes you back to nature, back to basics and gives a fresh interpretation of what showering in a modern luxury bathroom really means. No longer a Spartan endurance…. but rather a heaven sent, warm, all-encompassing rain to redress the balance of relaxation and refreshing energy. Deeply cleansing, whilst invigorating and energising, the shower can deliver 20% more force than an ordinary shower. Practically speaking, twice as much skin contact is delivered by individual jets of water concealed in the intriguingly and beautifully designed halo-shaped handset, enabling you to feel a more profound sense of cleansing, and a deeper level of relaxation. As you would expect of a shower of this high quality and standard, it is lead and heavy metal free, which preserves water quality fit for consumption or cleansing. 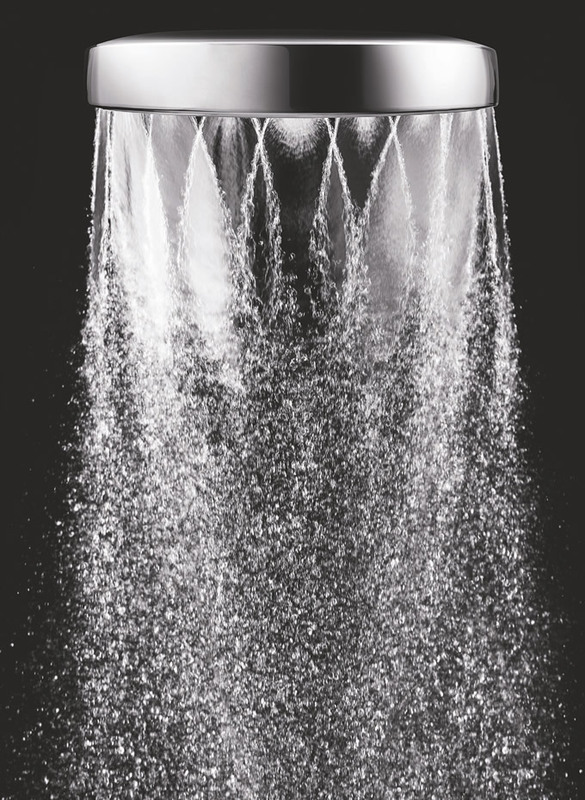 By submitting yourself to the extravagantly intense shower of water droplets you are aware of a different style, a different experience….indeed, a unique, almost heavenly experience which is found in no other shower, designed for sustainable new developments of quality and luxury. Aesthetics are given a new expression, designed for any person of discernment and taste. 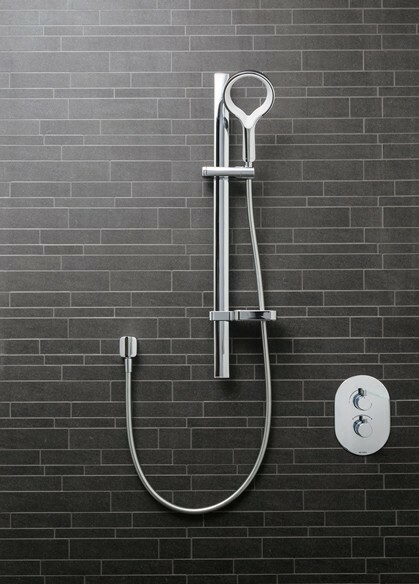 Innovation and practicality combine to deliver a shower of beguiling simplicity and extravagant sensuality whilst divinely inspired and superbly designed. 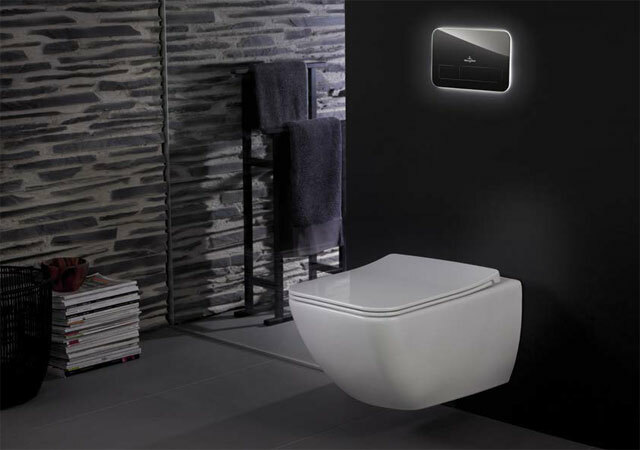 Bringing a new meaning to bathroom hygiene, cleanliness and comfort Villeroy and Boch offer ground-breaking technology to take your well-being to a new and safer level. Gone are the gremlins of dirt and mould, no longer hiding in dark corners …simply because there are no corners for them to hide in. Cleanliness is addressed with a triple approach and carefully thought out design. 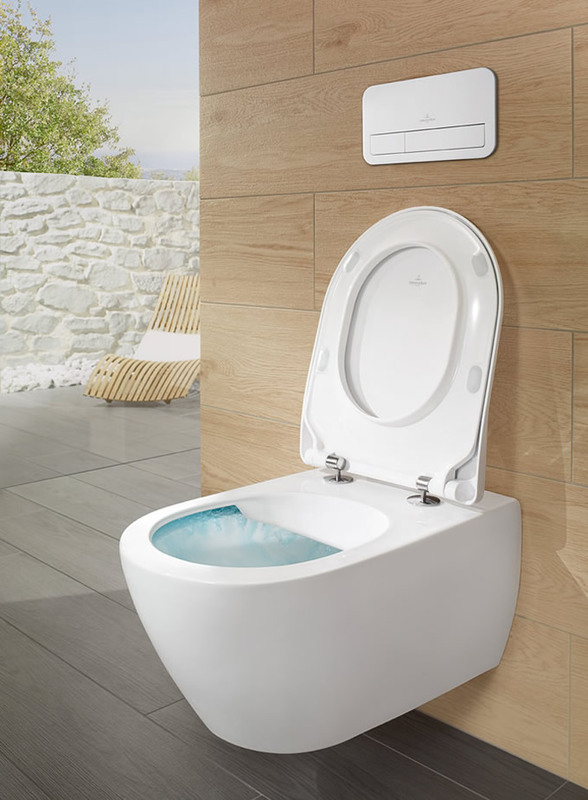 The WC bowl is rimless and therefore easier to clean, reducing the risk of bacterial growth and unsightly stains. This fact combined with a super- efficient, no splash flush, quietly cleanses the entire bowl. Hygiene is further maintained by anti-bacterial technology. A new innovative glaze inhibits the growth of bacteria by 99.9%, whilst dirt repellent surfaces using a ceramic plus finish again inhibits the growth of bacteria. It is easy to clean and resistant to acids and alkalis. 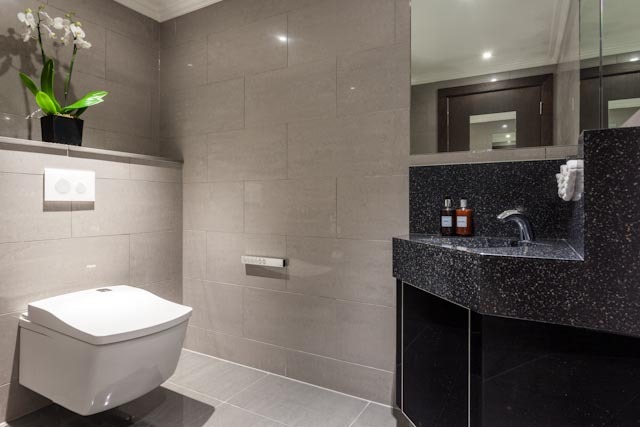 Indeed, a champion of hygiene is offered to take the modern bathroom to a new level of luxury, making it suitable for all high quality sustainable developments and private residences. 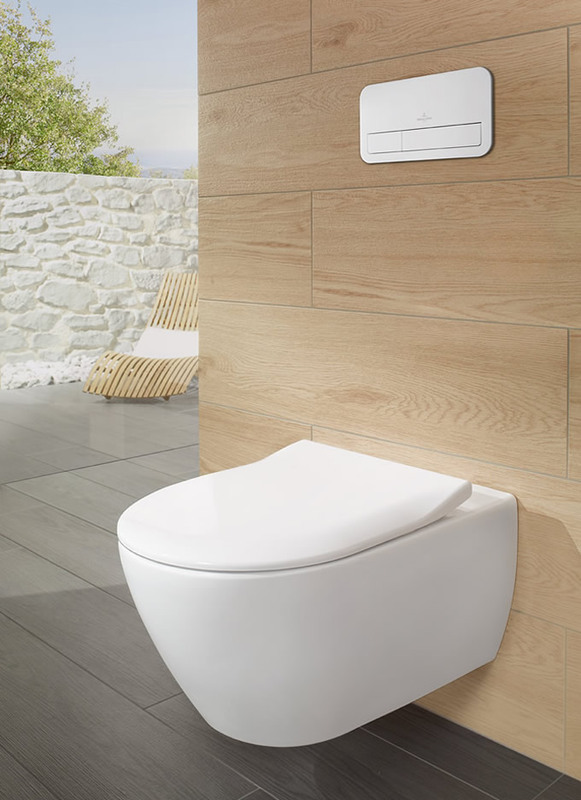 A new experience of bathroom comfort is offered by the Viclean U -combination of bidet and WC. The ultimate experience of wellbeing is provided by a comfortable water jet, an automatic, electronic, quietly opening and closing lid, an integrated seat heater, a soft ergonomic air/skin dryer…the ultimate expression of discretion whilst taking care of your intimate needs. An intelligent LED light enables night time use. 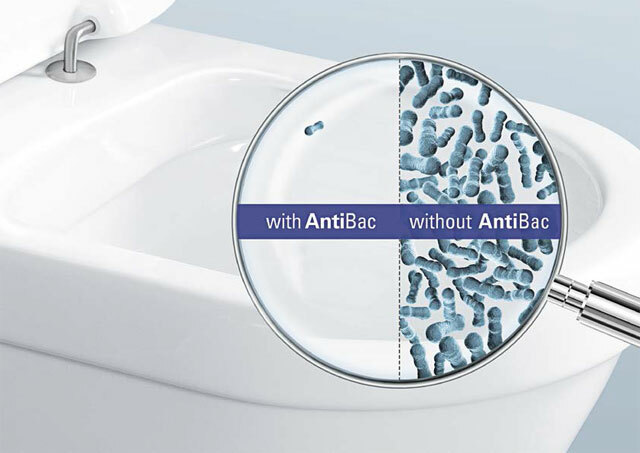 Again, leading the field in terms of hygiene, Villeroy and Boch have addressed the needs for the high standard of cleanliness and comfort required by a modern, discerning person, by integrating the easy clean ceramics plus finish with anti bacterial technology, which is long lasting giving you confidence for the entire life of the product. Reassuringly, saving water and energy, the unit is powered by TOTO. Ultra-thin porcelain tiles are now offering an excellent, sustainable design that doesn’t compromise on quality and range. Using 60% less mineral resources, the ultra thin design production creates 50% less carbon and other solid emissions, also requiring 40% less energy. This gives peace of mind that you’re using a product that is sustainable and has a significantly small carbon footprint. Ultra- thin porcelain tiles offer an extensive range of colours, textures and finishes, giving a wide range of choice to make sure there is something to perfectly compliment any interior design plan. They are ideal for luxury development or refurbishment projects, offering a beautiful finish to any decor that is both hard-wearing and beautiful. 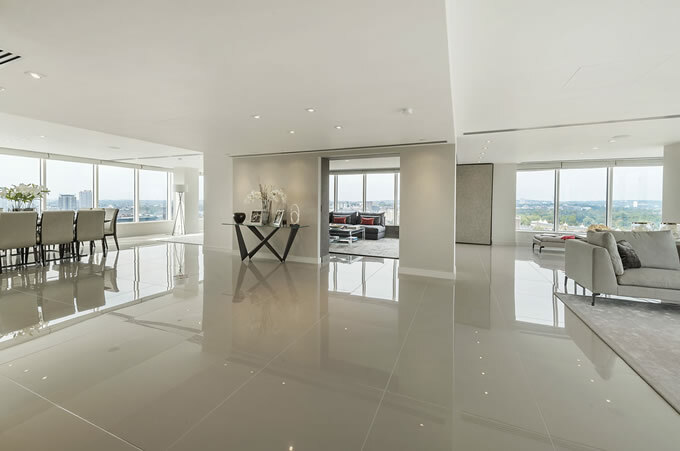 The ultra-thin porcelain tiles are extremely durable and strong, resistant to deforming, cracking and fading . They have an extremely low water absorption rate, making them resistant to dirt, staying cleaner for longer, with minimum maintenance required. The standard size of 1200 x 600mm is suitable for large floor areas and has a thickness of just 4.8mm . Our showroom is well worth a visit, as we have a dedicated tile studio within the showroom and the very latest styles and colours on display . At Concept, we encourage and fully support a client’s wishes to make their new build more sustainable and eco-friendly. 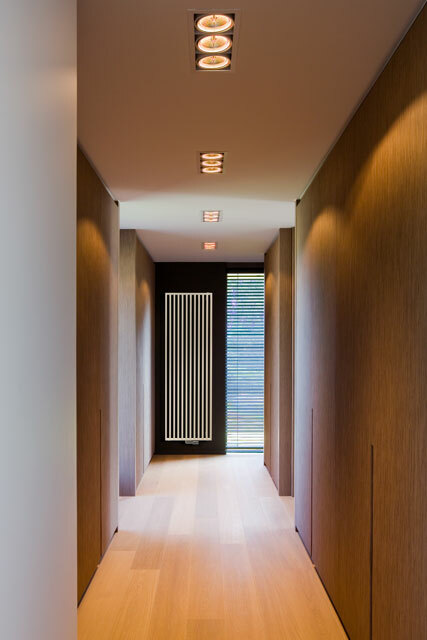 There’s no reason why your stylish new build can’t be both luxurious and “green”, especially with Vasco’s range of beautifully designed, eco-friendly radiators. Vasco’s products are all created out of 100% recycled aluminium, rather than using up new resources. They combine stunning, unique looks with energy-saving design to make a luxurious combination of aesthetics and function, proving that you don’t have to sacrifice sustainability for style. The products integrate highly sophisticated technology to deliver an efficient, yet effective heat delivery. There are so many subtle ways to make sure that new houses are sustainably built and eco-conscious, whilst not sacrificing style and a luxurious finish. Let Concept help visualise your space into a luxuriously styled room that helps promote sustainability – call our design team today . 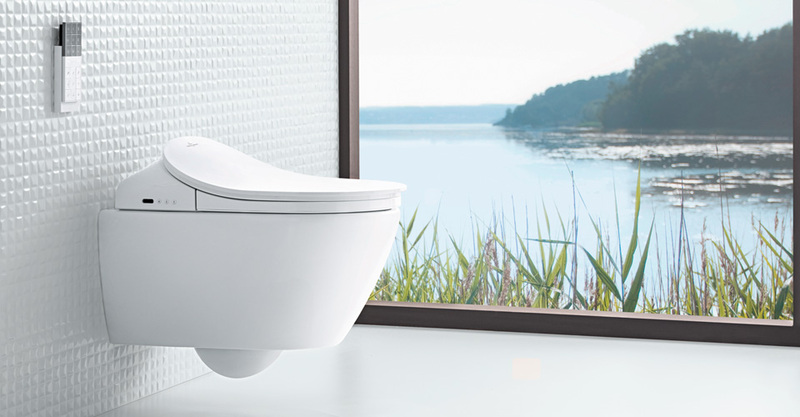 TOTO’s best selling product is their Washlet Lavatory and it’s easy to see exactly why. 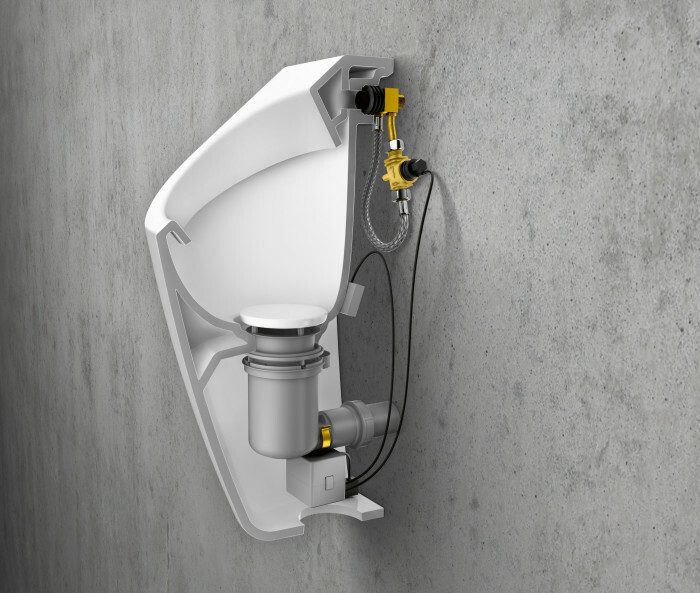 With exceptional use of technology, the Washlet toilet combines numerous functions to make one truly outstanding product. One of the many exceptional features is its ability to self clean, thanks to its use of Actilight technology. This keeps maintenance to a minimum and reduces the need for chemical cleaning agents. All waste is broken down and the superhydrophilic surface is sprayed with water prior to use to ensure the thorough removal of all waste and bacteria. Through the use of Actilight technology, TOTO has paved the way for a very special kind of hygiene, reducing the chemicals and time needed for cleaning. It not only makes upkeep simple but also environmentally friendly. 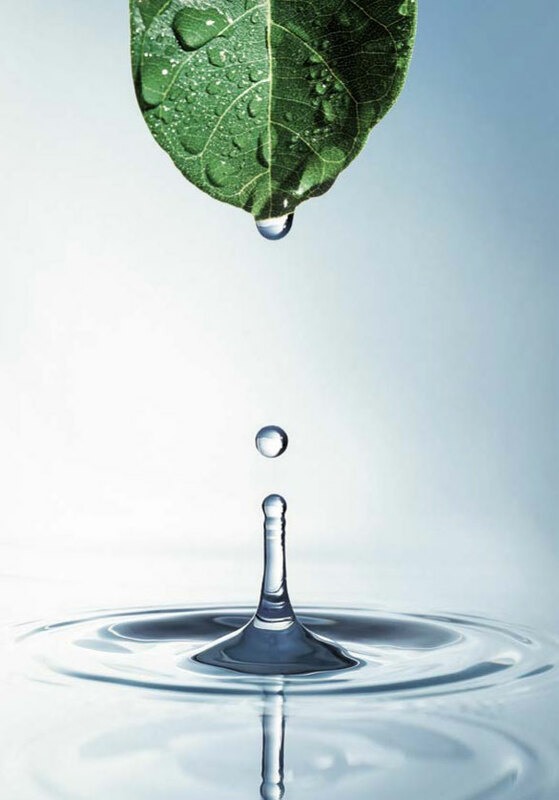 Electrolysed water is used by the system, providing a slightly acidic, antibacterial cleanser, which is completely safe and can be returned to the water cycle without causing any harm. The Actilight technology harnesses photocalysis, a self-cleaning process that is based on the hydrophilic properties of titanium dioxide. In short, Actilight uses UV light to destroy organic matter on light-sensative titanium dioxide to provide the ultimate cleansing system in an environmentally-friendly and sustainable way. 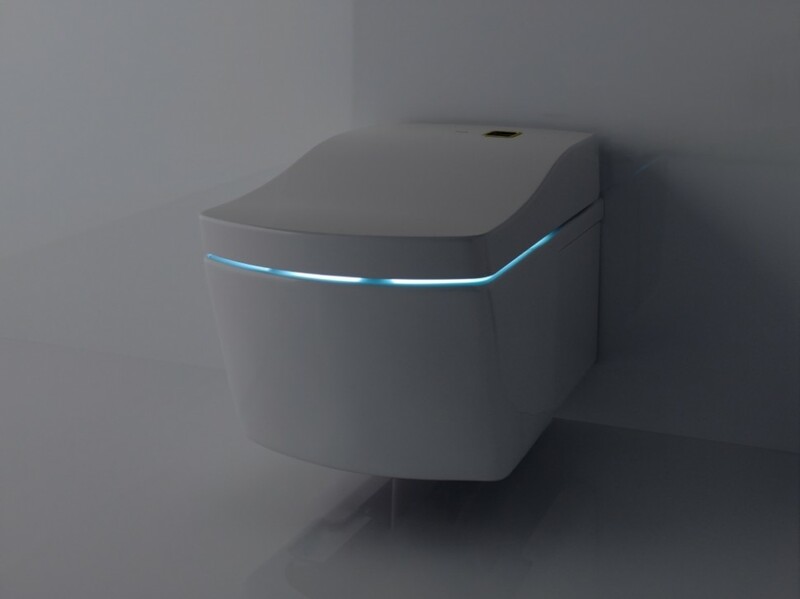 This luxury toilet has a range of advanced features including a warmed seat, water jets and air dryer for ultimate cleanliness and an automatically opening and closing lid. 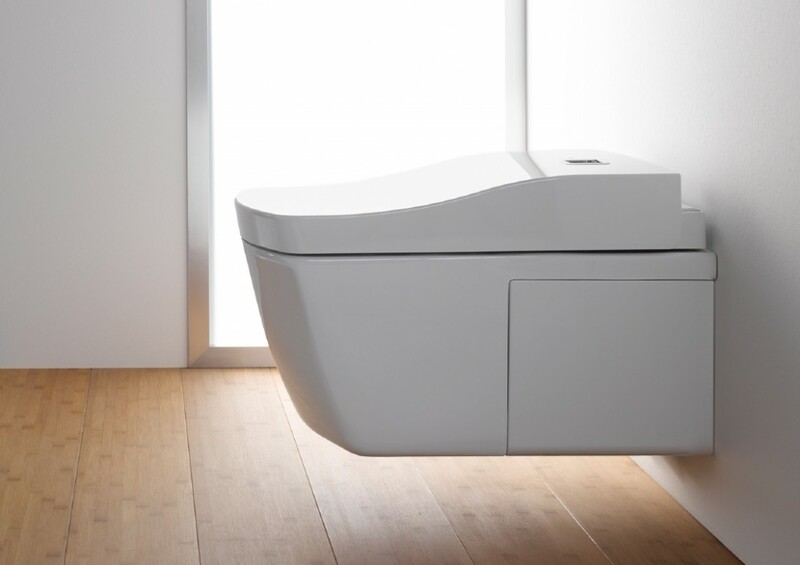 Ideal for the modern, “green”, high-end new developments, the Washlet from TOTO is the perfect combination of technology, luxury and style.